It’s been a wet year for many parts of the eastern United States, where numerous regions are approaching record precipitation numbers. One state that’s experienced a much higher-than-normal amount of snow and rainfall is Wisconsin, the third-largest potato-producing state after Idaho and Washington. 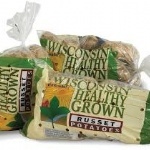 Tamas Houlihan, executive director of the Wisconsin Potato & Vegetable Growers Association, said the effects have been felt. 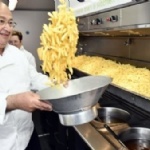 Belgium, self-proclaimed inventor of the French fry or chip, urged Europe on Friday to help it fight a tariff slapped on its iconic export by Colombia. Colombia accuses Belgian, Dutch and German agribusiness of dumping cheap chips on its market and undercutting struggling local producers. 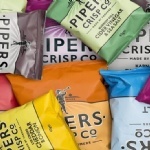 By launching a bid to acquire Lincolnshire crisp company Pipers Crisps, PepsiCo is currently taking another step into the UK snack market. The PepsiCo company already owns Leicester-based Walkers Crisps and American firm Doritos and wants to grow Pipers in the UK. The international food and drink company’s bid is subject to approval by the Competition and Markets Authority. Scottish Rural Affairs Minister Mairi Gougeon this week wrote to Defra Secretary of State Michael Gove to highlight the threat to this Scottish seed potato export posed by the replacement of full single market access rights with ‘third country’ status. 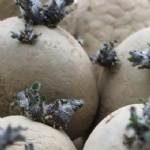 Conversely, Ms Gougeon noted that the ware potato industry, which is of particular importance to other parts of the UK, had been given Defra’s go-ahead to keep importing seed potatoes from the EU. 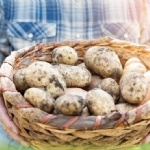 Lack of rainfall and high temperatures have taken a toll on the production of potatoes in the north of Cyprus and subsequent shortages in supply have led to soaring prices, Turkish Cypriot media reported on Tuesday. Daily Yeni Duzen referred to a ‘potato crisis’. 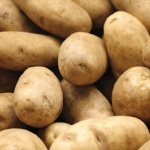 Due to soaring prices in the market and the low production of potatoes this year, it said, many producers started harvesting non-mature potatoes to meet demand. Prices however, the report says, remain high. Consumers can expect the humble spud to possibly double in price over the next year according to suppliers, as the hot weather this summer means the crop is down 25pc in Ireland this year. While the country basked in sunshine and heatwave conditions throughout the summer months, the potato crop became dormant in the soil as it was too hot and dry for the potato to grow. 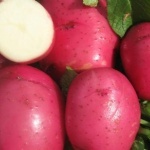 In a recent article published in Spud Smart magazine in Canada, potato specialist Dr Eugenia Banks points out that Ed Lulai, a potato physiologist with the U.S. Department of Agriculture, has been researching the causes of pink eye and has just published his results. He suggests replacing the name pink eye with “Periderm Disorder Syndrome” (PDS). 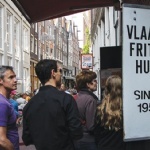 Vlaamse Frites: The best fries in the world? 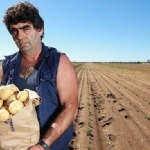 Tony’s Galati’s growing Spudshed empire increased its profit by 76 per cent to nearly $4 million over the past year, despite pressure on margins fuelled partly by rising competition from international players. Spudshed entity Vegie Bandits’ $3.96 million net profit for fiscal 2018, up from $2.25 million a year earlier. 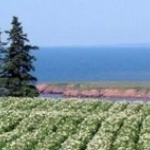 The president of Cavendish Farms is warning that the future of potato farming on Prince Edward Island could be at risk due to provincial restrictions on land ownership. 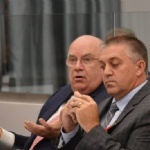 During a meeting of the province’s standing committee on communities, land and environment, Robert Irving brought attention to the declining numbers of potato farms on the Island. 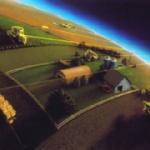 Since 1997, the number of potato farms has declined from 460 to 186. 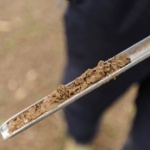 Potato cyst nematode costs the British potato industry more than £25m each year and accurate soil testing is a critical aid in managing the pest to minimise crop losses. 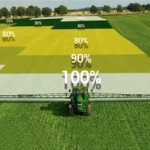 At low levels of infestation, crops show no symptoms and the danger is that populations could thrive, reaching levels that can be difficult to manage. 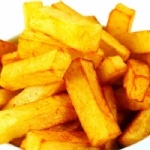 Chunky chips are off the menu at many bars, restaurants and traditional fish and chip shops in Britain after the hot summer caused a smaller potato crop. The vegetables are much smaller than usual this year, meaning chips are smaller, prices are going up and in some cases sweet potatoes are being used instead. 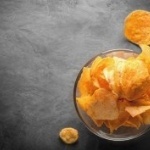 Two Farmers, a new UK-based crisp brand, aims to redefine the snack sector with the launch of its artisan range of crisps in 100% compostable packaging. 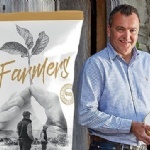 Potato farmers Sean Mason and Mark Green, from Herefordshire, have beaten the 2025 deadline for compostable packets set by potato snack giant Walkers, who recently faced a backlash over its non-recyclable packaging. 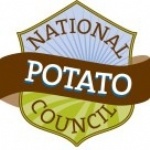 The National Potato Council (NPC) in the US recently issued a report titled “2019 National Trade Estimate Report on Foreign Trade Barriers”. The report came in response to a request from the Office of the Trade Representative. 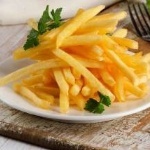 In the report, the NPC says that frozen fries are the industry’s primary export product, although fresh, seed and dehydrated potatoes are also exported in increasing numbers. 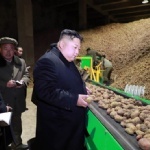 North Korea’s leader Kim Jong-un has visited the Samjiyon Potato Farina Production Factory for the second time this year, after a visit in July, the state-run Korean Central News Agency (KCNA) reported Tuesday. A new potato line, the Perfect Potato™, is now available in the US from Robinson Fresh® and Albert Bartlett. 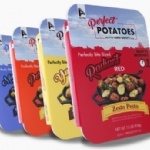 This product line is said to answer a consumer demand for a flavorful staple with convenient packaging that requires no prep work and is ready to heat and eat. The National Potato Council (NPC) in the US recently filed public comments that identified trade impediments impacting the potato industry in export markets around the world. The comments come in response to a request from the Office of the Trade Representative. NPC submitted a report for each country in which trade barriers exist. A new study published in JAMA Internal Medicine online suggests eating organic food could lower the risk of cancer. 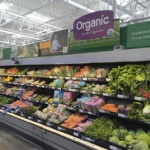 In the study authors said a population-based cohort study of 68,946 French adults found a significant reduction in the risk of cancer was observed among high consumers of organic food. 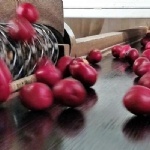 As TOMRA ships its 200th steam peeler from a state of the art processing facility in Slovakia, the company’s Market Manager Peeling, Eamonn Cullen, take a look at the impact steam peeling has on profitability and waste reduction in the potato processing industry. Science has finally gotten behind everyone’s favourite root vegetable. 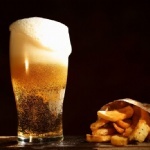 New research conducted by the University of Sydney has linked a certain gene with starch digestion, metabolism, gut microbiome, methane production and, ultimately, increase in brain size during human evolution. 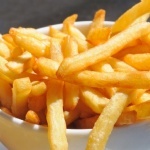 This research brings us a step closer to justifying fries as an evolutionary advantage. 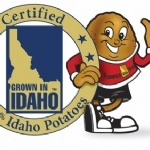 The Idaho fresh potato crop features strong quality and a mix of sizes for 2018, with russet norkotahs tending toward larger sizes and russet burbanks showing a mix of sizes. Industry leaders reported increased acreage for processing but reduced acreage for fresh market potatoes. 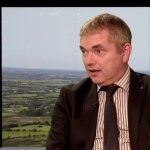 Reduced areas planted and reduced yields have led to what look like tightened supplies of potatoes this year – though it is too early to call for sure, according to Teagasc tillage crop and potato specialist Shay Phelan. The cold, wet October weather on Prince Edward Island on the east coast of Canada is making for a difficult potato harvest. “This year’s harvest is probably one of the tougher ones,” said Darryl Wallace, chair of the P.E.I. Potato Board. Potatoes don’t store well when they come out of the ground wet, Wallace said. 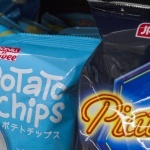 Japanese snack producer Calbee admitted that it made a mistake in choosing rival Universal Robina as partner for its failed Philippines potato chip joint venture, but said it would now focus on Indonesia and China to build on its presence in the region. 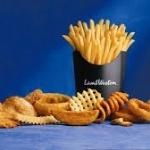 The stock of Lamb Weston Holdings, one of the world’s largest potato processors, recently hit a new 52-week high after its fiscal 2019 first-quarter earnings report surpassed analyst expectations. Revenue rose 12% to $915 million, driving net earnings 29% higher to $107.8 million. Those growth rates look solid, but can the stock run higher still? Food manufacturers are in search of functional, clean-label ingredients that deliver both improved product experience (taste, texture, color, freshness) as well as nutritional benefits. Over one hundred research and development chefs and product formulators gathered at the 11th annual Food Evolution Summit, held in San Diego September 24-26. During the past few years, a true revolution has taken place in the satellite business, according to Romain Cools, the President / CEO of the World Potato Congress Inc and Secretary General of Europatat in Belgium. Hundreds of Earth Observation satellites have been launched and are in orbit today, taking pictures of our planet on a daily – sometimes hourly. 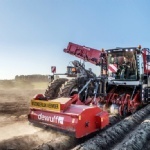 It’s harvest time and the chips are down for potato producers in northern France where a long summer drought could see French spuds shrink in size and volume. 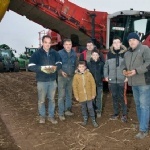 The potatoes “first lacked water and then when rain fell in July started growing anew” which means the original plants lost starch and gained too much water, spoiling them, said Regis Dumont, a potato farmer from Warhem near the Belgian border. 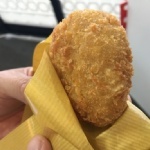 “Korokke” (potato croquette) is a rather common home cooked dish in Japan. One brand of the croquet that is nowadays becoming very popular in Japan, is the ‘Mishima Croquet’, made from the Mishima Breisho (Breisho translates to potato in Japanese). More from Mariko Kihira in Japan. 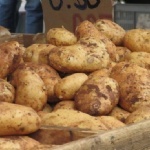 As extreme weather events increase in frequency, Sara Maslowski, senior analyst at the Agriculture and Horticulture Development Board (AHDB) for potatoes, reviews how this year’s weather conditions have affected the potato crop and prices when compared with a more ‘typical’ growing season. With low temperatures from last week expected to linger into this week, harvest is not looking good for potato farmers, experts say. 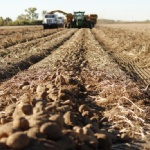 About 20 percent of the fresh crop still is in the ground in the Red River Valley, said Ted Kreis, spokesman for the Northern Plains Potato Growers Association. “We could easily lose 100 percent of what’s still in the ground,” Kreis said. 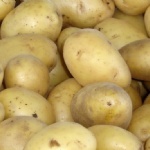 This year has been a difficult one for potato producers in the Portage region in Canada’s Manitoba province. 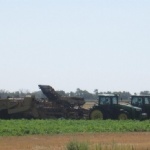 Shifting weather extremes have made both growing and harvesting difficult at times. Recent bouts of frost have producers concerned for their crops still in the ground. Joe Ades was a street peddlar who became a millionaire selling potato peelers in New York city. He was born in Manchester, England and grew up in war torn Britain during the second World War, the youngest of 7 children. 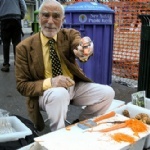 After moving to the US as a youngster, started selling $5 potato peelers on street corners in NYC for 60 years, even for long after becoming a millionaire doing that. 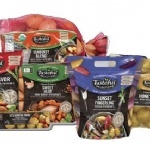 Tasteful Selections, in partnership with RPE Inc., has announced a comprehensive rebrand of its full line of bite-size potatoes to better align its market-leading position with organizational core values while responding to customer and consumer expectations. 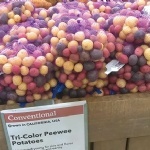 The US company has been supplying the bite-size potatoes since 2010. Although North American leaders have announced they reached a new trade agreement to replace the North American Free Trade Agreement, or NAFTA, North Dakota industries say there’s still much the pact has left to address. The new deal is referred to as the United States-Mexico-Canada Agreement. Some wheat growers, in conjunction with fresh potato growers and steel companies, say the deal isn’t enough. Lux Research is a provider of market intelligence solutions, helping global companies identify the tech innovation opportunities that drive growth. In a recent article, the company lists the “top innovation questions your peers are asking about in 2018”. Produce Investments, known for its Greenvale business in Scotland, has reportedly been blighted by a massive over-supply of potatoes which have dented group profits. The company posted revenues of £188 million, with operating profit of £6.1 million, down from £7.8 million. Promethean Investments LLP is currently in the process of buying Produce Investments. 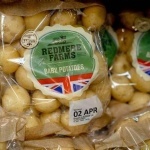 Potatoes were on the list when Tesco announced in May of this year to remove “best before” dates from almost 70 fruit and vegetable products in an effort to reduce the amount of usable food being thrown away. Now the supermarket is set to remove the labels on a further 116 items of produce – including own-brand apples, oranges, cabbages and asparagus. 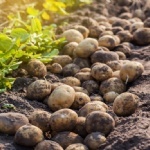 Eighteen farms are now on the suspect list for a new potato virus, Biosecurity New Zealand says, and testing has been widened to the North Island. 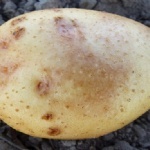 The Potato Mop-Top Virus, or PM-TV, affected potatoes used to make chips. It was found for the first time in New Zealand on two properties in Canterbury last month. 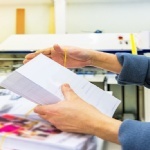 Chris d’Entrecasteaux, General Manager at Atlas Direct Mail in the UK announced today that the company is currently running its first potato starch poly wrap job. He says coming soon will be pre-printed poly wrap made of the potato based starch. “Since the SITMA was installed just a few months ago it is in high demand and the number of jobs we put through each week is consistently increasing,” he says. AHDB Potatoes has launched a new guide to help growers test for Potato Cyst Nematode (PCN) – a pest that costs the industry over £25 million each year. 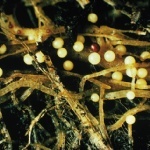 Potato cyst nematode is the most important potato pest in the UK and has the potential to cause substantial yield losses. The release of PCN: Sampling and laboratory guide draws on AHDB-funded research. 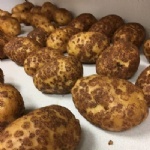 Potatoes may be as familiar as just about anything in produce, but retailers do well to notice how changes within the category are affecting demand in their area and store. “As 86 percent of households purchase potatoes annually — I think the largest in the produce category, tied with bananas, according to recent data — this is a critical category and shopper base, in which to respond with a targeted and diverse assortment to drive overall produce sales,” says Angie Hanson, director of category development at Category Partners, Aurora, CO.
Last week Canada was able to come to agreement on a revised North American Free Trade Agreement (NAFTA) after certain concessions on dairy and other issues were finalized. 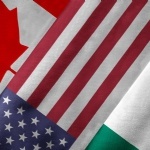 The revised agreement, dubbed the U.S. Mexico Canada Agreement (USMCA) by the Administration, is likely to be considered by Congress at some point in the Spring, according to the National Potato Council (NPC) in the U.S. “Our first priority was to ensure that the benefits of the original NAFTA were not lost. We are very pleased that the Administration chose to mend it rather than end it,” said John Keeling, NPC CEO.